Keep your work life streamlined with a bag that's refined and slim, formal yet relaxed. 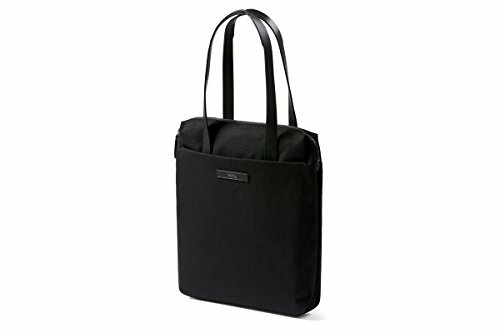 The Slim Work Bag lets you fit the work essentials laptop, notes, pens, cables, phone, sunglasses while keeping things crisp and calm on the outside. A padded pocket for your laptop provides a nesting place when you're on the move, no rigid laptop bouncing against your back or rattling around with your keys. A padded pocket for your laptop provides an ideal resting place when you're on the move. No rigid laptop bouncing against your body or rattling around with your keys. Discreet internal and external pockets allow you to separate your devices, cables, pens, papers, lunch and personal items. Minimalism doesn't need to mean cold and stark. The folded detailing through the fabric and leather accents add character and warmth to this slim, simple piece.